Scissors are important tools in aquaristics in general and especially in aquascaping. They are needed to trim the plants in the aquarium at regular intervals. Scissors come in very different qualities, thus you'll need to carefully consider which pair of scissors of which brand you choose. We offer scissors of all price levels in order to provide beginning aquascapers or planted tank keepers with reasonably-priced tools. Those looking for an especially favourable price-performance ratio will surely find something they like in our Flowgrow tools section. In their production, we focus on smooth handling and a high quality. Premium brands like Aqua Design Amano (ADA) offer you very attractive tools with designs that bring a gleam to the eye of any aquascaper. Many forms of scissors are available. So-called wave scissors or wave cutters have been designed for trimming ground-covering plants. 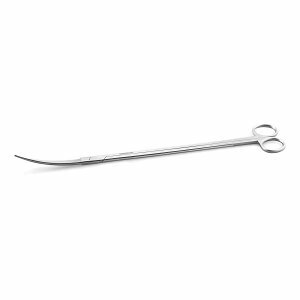 Spring scissors are used in nano tanks and in areas where great manoeuvrability is called for. Long scissors are useful in large aquaria, and shorter ones are great for cutting back dense bushes formed by stem plants. The blades of premium scissors are made of tungsten. They are especially hardened to maintain their sharpness for a long time. Whether you choose a tool with a matte or a shiny surface is entirely up to your personal taste. 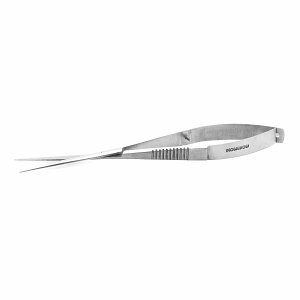 Plant scissors are by all means an important tool in plant aquaristics and aquascaping. In an aquarium, scissors are not only used for plant care, e.g. to clip old and sickly leaves. They are also important for the design and shaping of a planted aquarium: With them you can bring entire plant stocks into shape and nurse stem plants into a beautiful bushy growth. How to create this bushy growth by precise trimming is described in more detail in our article "Trimming stem plants". Plant scissors come in different shapes and legths. We can offer you a tailor-made solution to any possible situation in your aquarium. In our shop you can purchase many different types of scissors for many different jobs. We also paid attention to being able to offer you tools in different price ranges. So our range covers brand models from ADA and Borneo Wild, as well as more affordable starter models. In addition, our own brand of aquascaping tools Aqua Rebell impresses with high quality and a particularly favorable price-performance ratio. As a principle, plant scissors are available in different lengths. As an aquarium owner you can easily choose the scissors that best fit the size of your aquarium. 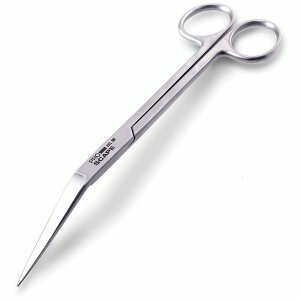 Short scissors are small and agile and are well-suited for use in a nano aquarium. In a taller tank, the tool will need more range. 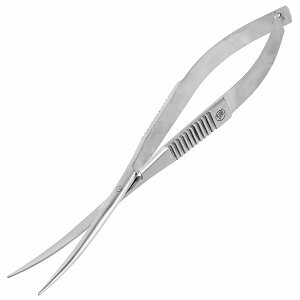 For this purpose, we also offer long scissors in our webshop. Often the scissors are available in two different versions. "Classic" with straight blades or models with a curved tip. The latter offer great advantages especially for working near the substrate, since you do not have to dive so deeply into the aquarium water when cutting and do not have to make any contortions when trying to shorten the ground cover to be straight and parallel to the ground. 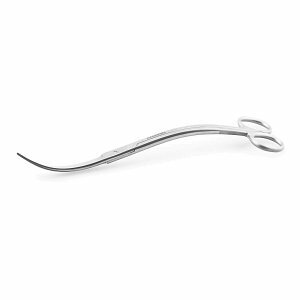 The Wave Scissors with their double-curved S-shaped design are particularly striking. These peculiar scissors are very popular in aquascaping and an alleviation for the trimming of ground cover in tanks with edge lengths from 60 cm upwards. For the same reason it is recommended to use so-called Spring Scissors in smaller tanks or in larger areas with dense ground cover. 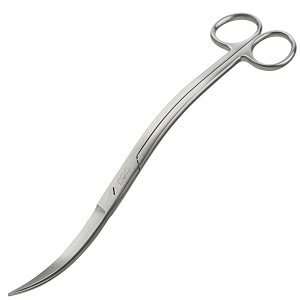 These 15 cm short scissors show high agility, their blades are spring-powered and ensure a relaxing trimming job without getting fatigued. The springs support you when opening the scissor blades. Above all, the trimming of large ground cover areas - and not only in nano tanks - will be done quickly and easily. 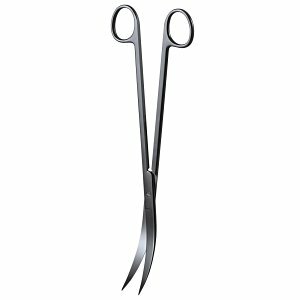 For particularly high demands in quality and sharpness, we also have plant scissors with enhanced blades made of tungsten steel available in our shop. 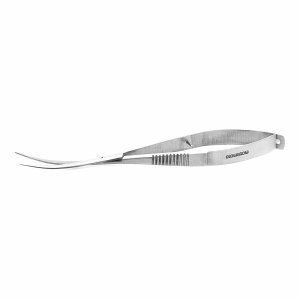 We offer these tungsten blade versions for selected Flowgrow Aquascaping scissors. They are a guarantee for long-time blade sharpness.